Since boxing formalised through the Queensberry Rules in 1867, it has grown to become one of the world’s most-watched sports, recording some of the highest value PPV sporting events in history along the way.Nothing livens up the excitement of a boxing match like a stake on the outcome. Every right hook carries more impact, every body-blow a shot to the wallet. It’s no surprise then, that boxing betting has become big business, and a hugely popular sideshow to the main event for sports fans across the world. 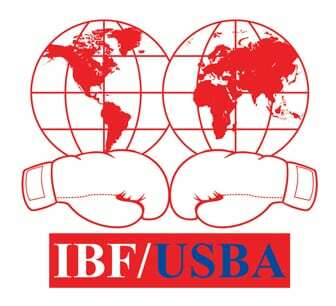 Betting on boxing online now makes that easier than ever before. You can even whip out your mobile and bet during the action in seconds, with the range of in-play bets available. Choose the outcome, total rounds, round betting, method of victory, or a range of fight specials, all available at leading online bookmakers, from Paddy Power Sports to SkyBet. Fight Result The most basic type of bet available on any boxing match – simply pick the overall winner, and place your bet at the odds quoted. If the fight goes your way, you win. It’s as simple as that. Round Betting/Group Round Betting A bet for one boxer to win by KO, TKO or disqualification in a given round, or group of rounds. Method of Victory Choose how the fight will end – KO, TKO, or disqualification. Fight Specials There are often a number of specials, depending on the fighters and the surrounding events. This could be future matches, e.g. next opponent, or any other range of applicable outcomes being offered up by the bookmaker. Which Bets Should You Choose? Each of these bet types has their own function, and those betting on boxing will often choose which of the bunch they feel will offer the best odds, or the best chance of getting a decent return on the fight. The fight result, for example, often offers the worst odds, because you’re looking such a sweeping outcome – in a two man brawl, either Fighter A or Fighter B will win, if it’s not a draw. Boxing matches are usually mismatched to some extent, and there will almost always be a heavy favourite going into a fight. This means you’re probably looking at poor odds, for the favourite, at least, and there will be better odds available on more specific outcomes. Instead, look at round betting or total rounds over/under. Floyd ‘Money’ Mayweather himself knew that’s where the best odds are to be found – he tried to slap down $400,000 via a contact on his bout with Conor McGregor for under 9.5 rounds, which would have netted him $600,000. Somewhat fortunately for Mayweather, that bet wasn’t accepted (and probably illegal in any case), but represented much more generous odds than simply backing himself to win in what some commentators were calling the most one-sided boxing match in history, and a ‘farce’. The more specific the outcome, the better odds you’ll be offered – it’s a good rule of thumb throughout sports betting, but especially applicable in the context of boxing. For instance, if you think a fight isn’t going to go the distance, pick a method of victory rather than backing it not going the distance. This can be the difference between slim odds and a much more generous payout. Of course, there will be some instances where fights are much more evenly balanced, and you might just fancy a punt on one of the fighters. Outright winner bets here are OK when you don’t have the confidence to back a specific fighter, or you can’t read how a fight might play out. Just be aware that there are far tastier odds lurking in more specific outcomes – as long as you know what you’re doing, this can still be a good way to win some money on the fight, and to make sure you’ve got some skin in the game when the first bell sounds. Round betting and total rounds over/under are becoming more popular, as fans of boxing become more knowledgeable about the fighters, their respective chances, and where the best odds lie. Go the extra mile with your boxing bets and pick an actual outcome – the more you drill down, the better your odds will be. Different fights and different betting sites mean a unique selection of markets and odds. Not every bookmaker takes bets on the same outcomes, and this is driven largely by demand, and by the general interest in a given fight. If you take the recent Canelo Álvarez vs Gennady Golovkin bout, this is one match that has got the world of boxing whipped up into a frenzy. But how do the markets and the odds compare across different bookmakers in this example? As you can see from the comparison above, odds and markets really do vary between different bookmakers. Say you were picking the draw – there’s a huge spread across providers, from just 12/1 at BetBright, through to 22/1 at 888Sports. Or there’s an Alvarez win in the 7th Round – 40/1, 50/1 and 66/1, depending on who you’re betting with. That’s why it makes sense to shop around for the best odds at recommended bookmakers if you want value for money, or the widest range of available markets for your bet. The differences, even in outright betting markets, can be worth several multiples of your stake. There are broadly two types of bonuses that can be eligible for betting on boxing. The first is the welcome bonus, offered as standard right across the industry to new sports bettors. This is often matched to the size of your first deposit, or takes the form of a small free bet bonus, e.g. £10, for signing up for an account. The second type of boxing bonus comes from promotions specifically related to boxing. Bookmakers know that high profile boxing matches are one of their biggest draws for finding new customers, so they often incentivise placing your bet with them through free bonuses or promotions. These can be free bets, or enhanced odds, or take a range of formats, depending on the terms and conditions of the bet. The restrictions on these specific promotions tend to be more rigid and prescriptive, so you need to be aware of the common terms and conditions in play if you want to make the most of your bonus. With so many divisions packed with great fighters, there are dozens of boxers that could make a list of the most famous fighters in the world today. The only fair way to assess different boxing talent is to take account of these weight divisions, and to look at those fighters who, pound-for-pound, represent the best in the field. Based on their records through and including the 2017 fight calendar, here are our top 20. 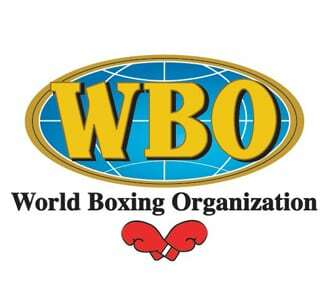 There are dozens of boxing organisations worldwide responsible for sanctioning fights, licensing fighters and overseeing the administration of their respective divisions. 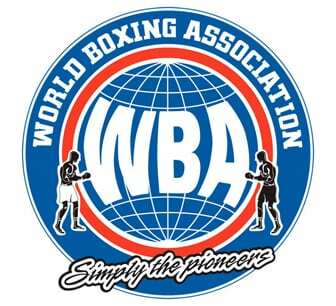 However, from the broader list, there are four which are recognised as having the authority to sanction world title fights, recognised by the International Boxing Hall of Fame as the main associations in the sport. The history of boxing traces its origins in bare knuckle fighting. In ancient Greece, fighting with fists was seen as a pursuit of the Gods at Olympus, and so fighting was incorporated into the very first Olympic games back in 688 BC. Even Homer’s Iliad contains references to boxing, which quickly became a much-loved spectator sport in these very earliest of days. By the time of Roman civilisation, boxing had spread to become one of the most popular gladiatorial challenges, where fighters would cover their knuckles, albeit with leather straps, and metallic knuckle protection, with often violent and bloody results. After Roman civilisation fell, boxing as an organised sport subsided with it, only to be revived later in Europe in the 18th century. At this stage in the sport’s history, boxing was still incredibly violent, with bare knuckle contests often more closely resembling street fights than the big money, somewhat sanitised contests we know today. Working men would fight for cash prizes, and the lack of a formalised rule structure did little to prevent serious injury and even death. It wasn’t until the 1860s that John Douglas, the 9th Marquess of Queensberry leant his support to a formalised structure of rules, that the modern day sport of boxing was born. For the first time, gloves were an essential requirement for any licensed fight, and rounds would be restricted to three minutes, with no eye-gouging, wrestling, or other moves allowed. Only fists were permitted, and the structure allowed for the sport and the art of boxing as it’s known today to develop and flourish. By the end of the 19th century, bare knuckle boxing had all but died out, replaced by the more appealing, regulated form. 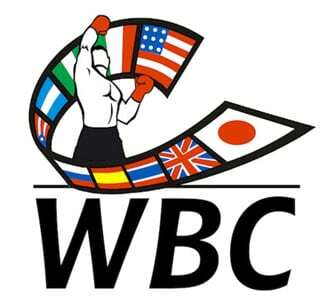 Weight divisions began to emerge beyond just heavyweight fighters, creating new classes of fighters, and new classes of world titles to be contested. This allowed the sport to flourish, particularly in the United States, as it began to accelerate its journey to present day. The 20th century saw boxing explode in popularity, thanks to the invention and widespread proliferation of television bringing boxing into homes worldwide for the first time. Fighters who would perhaps at one time have scrapped it out bare knuckled for an extra week’s pay were for the first time global superstars, and names like Rocky Marciano, Muhammad Ali, Sugar Ray Robinson still loom large to this day. The late 20th century saw another boom in interest in the sport, with pay per view helping the sport level up to the commercial titan it remains today. Professional fighters could now ascend to the world title, global fame and vast fortunes in one fell swoop, and this continues to make boxing one of the most talked about sports in the world. Today, boxing is moving through a transition. Once undoubtedly the world’s biggest combat sport, this market share is being eroded across the world, in part by the rise of MMA – no doubt the primary reason the Mayweather v McGregor fight attracted so much global attention. In the US, boxing is losing some of the shine that once kept it at the pinnacle of sport. In the era of Mike Tyson, Evander Holyfield and Oscar de la Hoya, boxing reigned supreme in the United States. Yet it seems the well of US boxing superstar talent has dried a little since, and with the retirement of Mayweather, regarded as a once-in-a-generation talent, there looks to be few in the same league to fill his shoes. Fortunately, not all hope is lost, and boxing remains one of the most popular sports in the world. While UFC might be on the up and up in the US, it remains firmly behind boxing in the UK. Some commentators have even gones as far as to describe the current climate in the UK as being a golden era, with new talents like Anthony Joshua helping inspire the British boxing scene to new heights. This is the era of the mega-fight, massively hyped events that draw tens of millions and more in pay days for the fighters involved. While boxing faces challenges to its popularity across the globe, there’s never been a better time to get interested in what the noble art has to offer.